We all have busy lives, whether we’re at home watching the kids or back at work providing for them. Sometimes it’s just not possible to make a dinner from scratch every night, and when that happens the slow cooker is my best friend. There’s an endless amount of recipes out there for your slow cooker, but I’ve chosen three of my favourites. These are simple, no-nonsense recipes that you can throw together in the morning before you head out the door, and come home to a delicious, perfectly cooked family meal. There’s nothing more wonderful than the smell of home-made curry wafting through the house. This Thai chicken curry is a slow cooker masterpiece and can be put together in less than 10 minutes. The main ingredients in this recipe are all to do with the creamy Thai sauce, consisting of full fat coconut milk, peanut butter, red curry paste, brown sugar, chicken stock, garlic and ginger. Mix all these together, pour over your diced chicken breast, and put the slow cooker on low for just 3 hours. Once it’s cooked, ladle on-top of white rice. For an added variant you can use sautéed red bell peppers to put on top, or chop up top cilantro, peanuts and green onions for colour. Pulled pork can sound like a daunting task, but in the slow cooker it couldn’t be easier. 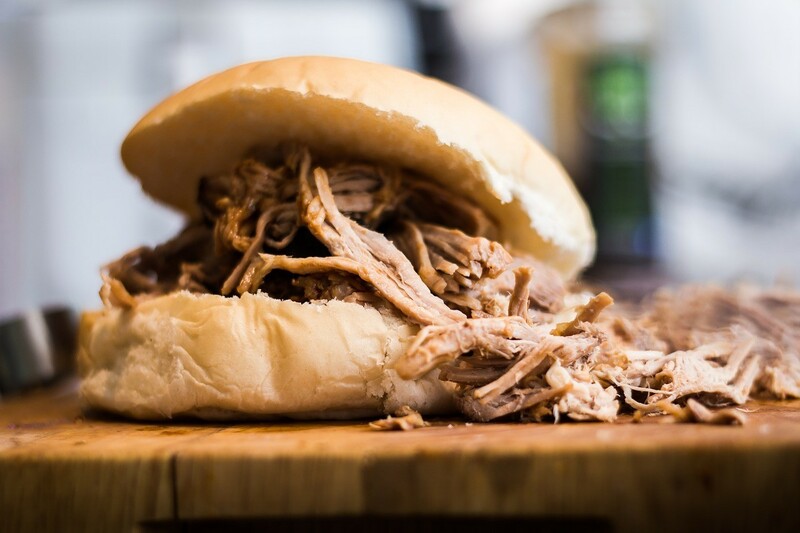 For the perfect slow cooked pulled pork place a pork shoulder into the cooker and cover it with barbecue sauce, apple cider vinegar and chicken stock. Then stir together and add brown sugar, mustard, Worcestershire sauce, chilli powder, onion, garlic and thyme. Cook this on low for 5 to 6 hours or until the pork shreds easily with a fork. To make into burgers, simply toast hamburger buns on the grill until golden brown and lather with the pork. Of course any burger wouldn’t be complete without a side of fries. If you haven’t got time to make your own, try McCain’s crispy Skin on Fries. Leaving the skin on fries gives them extra flavour and makes them ideal pairing for your delicious pulled pork burgers. If you work long hours, or are going to be gone all day with kids, you might want a quick meal you can throw together in the morning and leave to cook during the day. The harvest veggie soup is ideal for those days when you want to come home after 8 hours and have dinner ready and waiting for you. 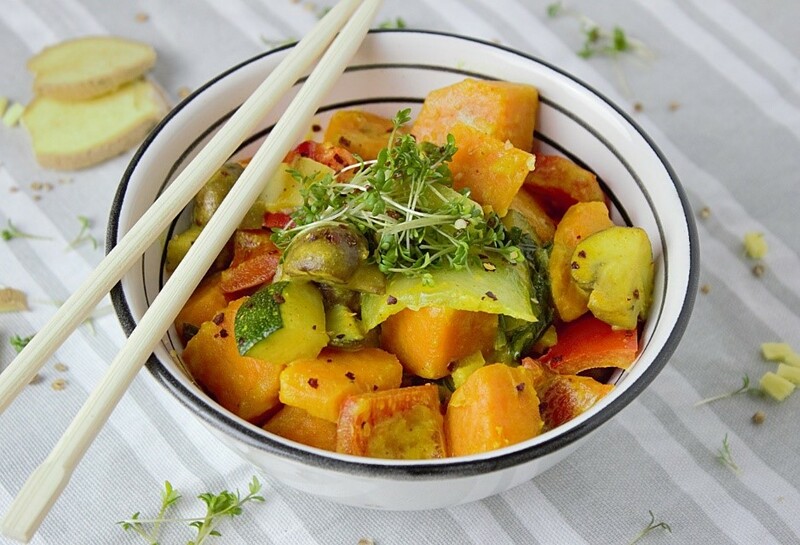 You can use most vegetables you have sitting around in your fridge, or use the recipes recommended squash, cherry tomatoes and yellow onion. Dice your veggies and put them into your slow cooker along with 1/3 cup of dry white cannellini beans. Cover with chicken broth, 1 cup of water as well as some Italian seasoning and let it cook on low for 8-10 hours. Throw in a handful of pasta 20 minutes before you need to eat. Serve with some fresh bread from your nearest bakery and you are good to go. It’s a tasty way to get rid of some the veggies that are building up in your fridge. How often do you use your slow cooker? Hopefully these quick recipes will inspire you and help you manage your time in the kitchen better.